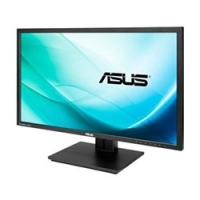 Monitor has overall dimensions (with stand) 660 x 414 x 220.06 mm and a weight of 7.9 pounds. On the computer you can connect via HDMI (3840x2160@30 Hz), HDMI (MHL) and DisplayPort (3840x2160@60 Hz) connectors. The stand allows tilt adjustment range of 20 degrees and height adjustment up to 150 mm, so you can set up the monitor in landscape or in portrait mode. Asus equipped this monitor with its own SplendidPlus Video Intelligence, EyeCare, VividPixel, GamePlus and QuickFit Vistual Scale Technologies. Monitor next to the audio jacks and has two stereo speakers than 2 W. It can already be purchased on most world markets including Europe with a suggested retail price of $799.99.